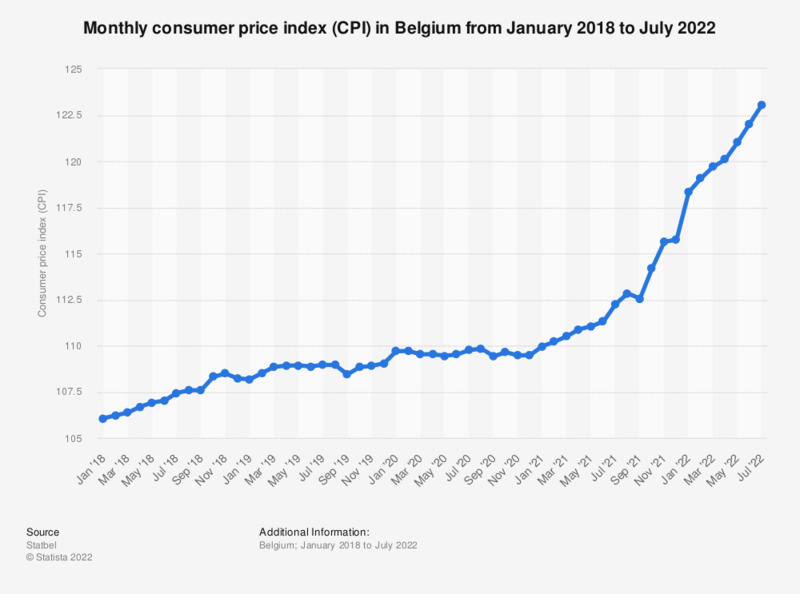 This statistic displays the monthly consumer price index (CPI) in Belgium from March 2017 to March 2019. The consumer price index in March 2017 was 104.91. In March 2019, this was 108.85. For a more detailed overview of the development of the CPI, this statistic shows the monthly consumer price index for different expenditure categories. This shows that the prices for different goods and services can sometimes increase much more or less than other goods and products. For example, the consumer prices of non-food products increased much less in the last available month than the prices for services. The percentage change on the previous year of the inflation rate in Belgium in the last year can be found here. The source defines the consumer price index (CPI) as an economical indicator that displays the price evolution of goods and services representative for the consumption habits of Belgian households.